When a fleet of spaceships crashes into northern Europe in 956 AD, a group of unlikely Viking heroes are the last line of defense against a brutal intergalactic warlord. 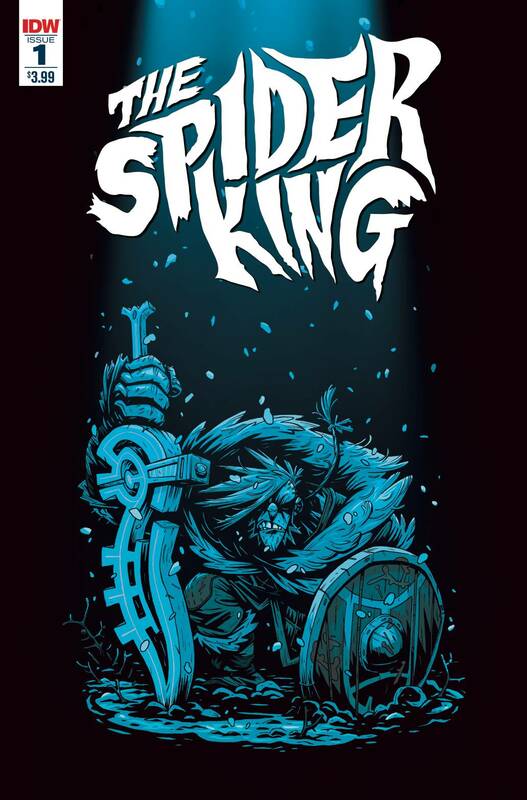 Equal parts science fiction and fantasy, The Spider King follows the adventures of Viking warriors as they defend their world against alien invaders armed with futuristic technology and impossible weapons. ?Vikings vs. aliens! ?Issue #1 features 26 pages of story! ?Reprinting the critically acclaimed, award-nominated Kickstarter graphic novel! ?Perfect for fans of Vikings, Conan the Barbarian, or Hellboy!